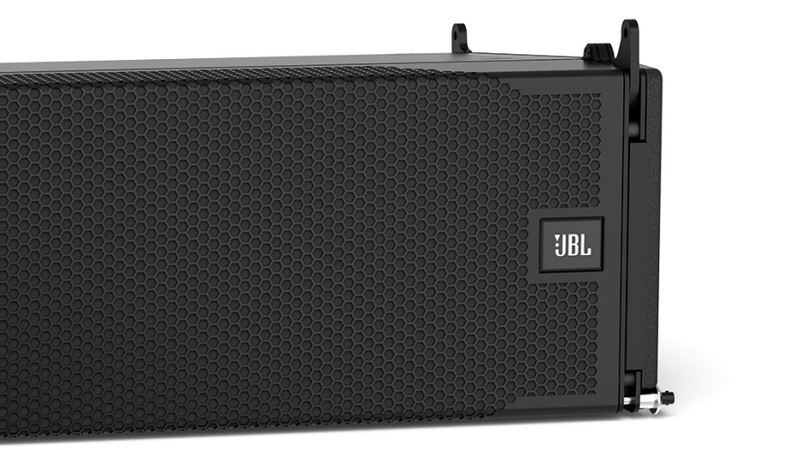 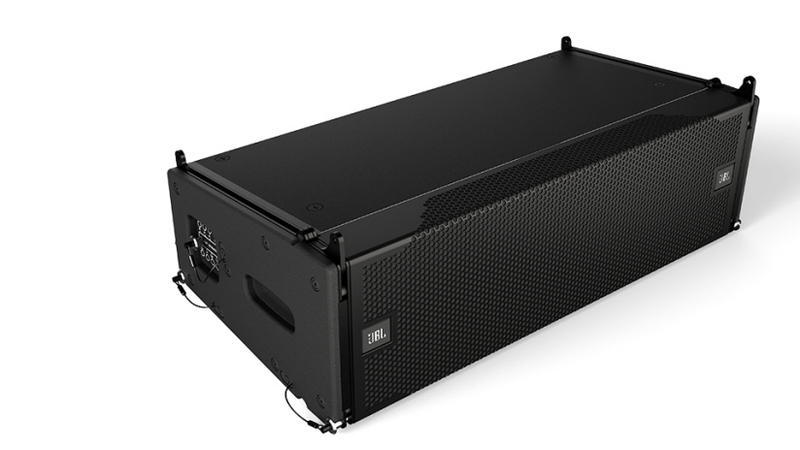 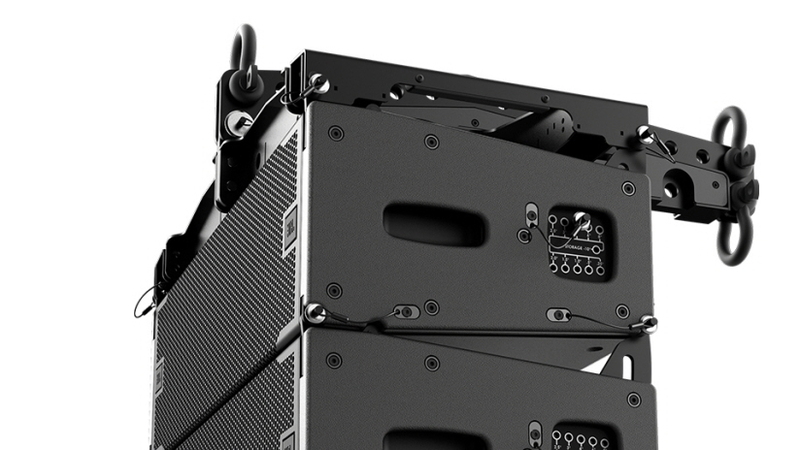 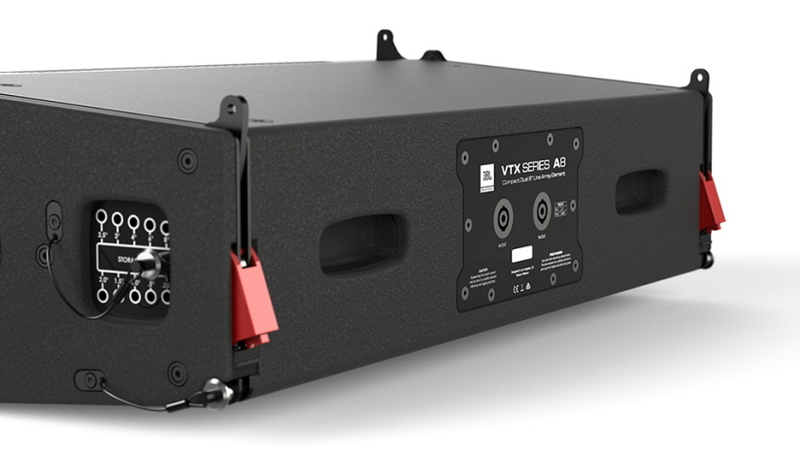 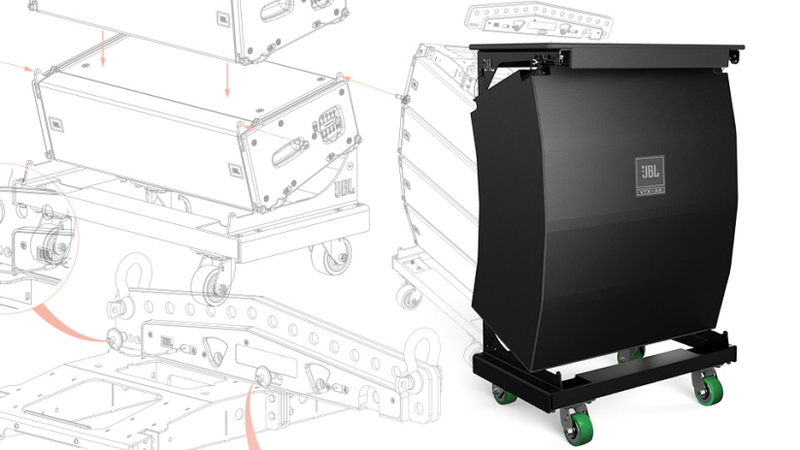 The VTX A8 is a next-gen line array that delivers JBL Pro’s flagship VTX A Series tech in a compact solution. 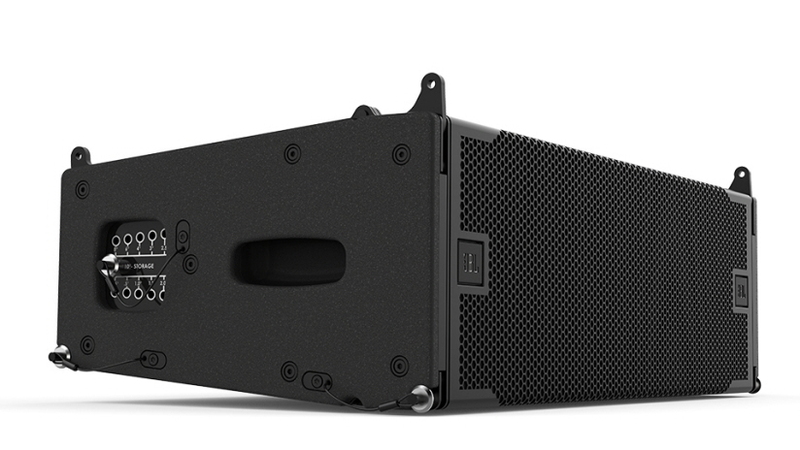 The A8 combines two 8” woofers, four 3.5” midrange drivers and two 2” high-frequency drivers. 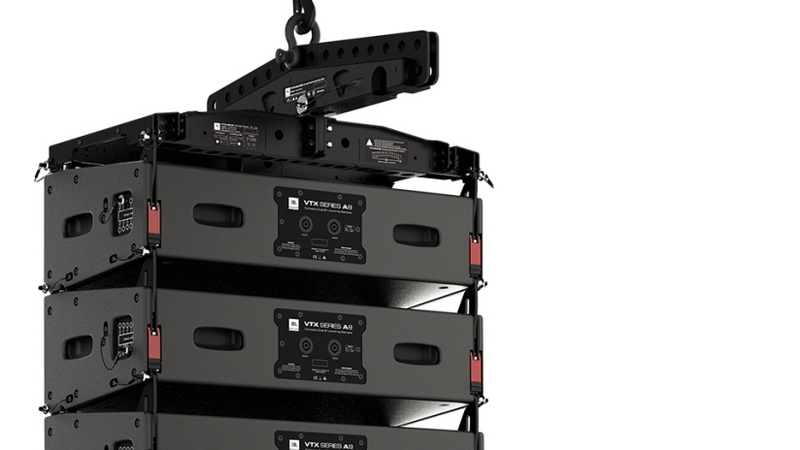 Its look encompasses a refined physical design, minimal size, and a novel suspension solution. 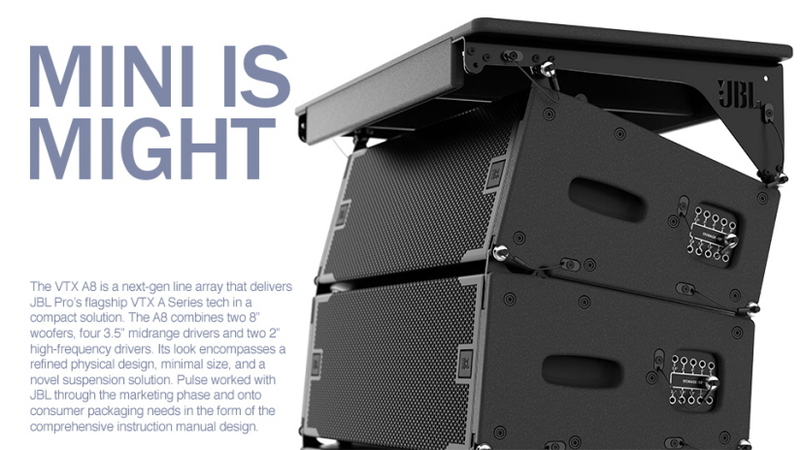 Pulse worked with JBL through the marketing phase and onto consumer packaging needs in the form of the comprehensive instruction manual design.